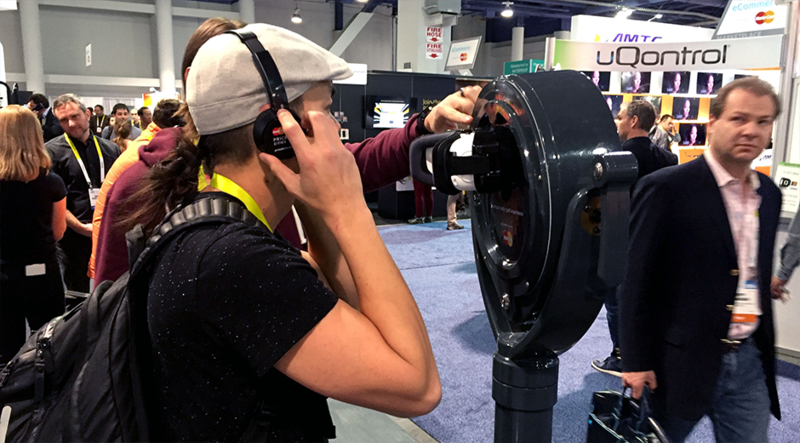 Our interactive marketing team attended the sprawling, if not overwhelming, International CES. 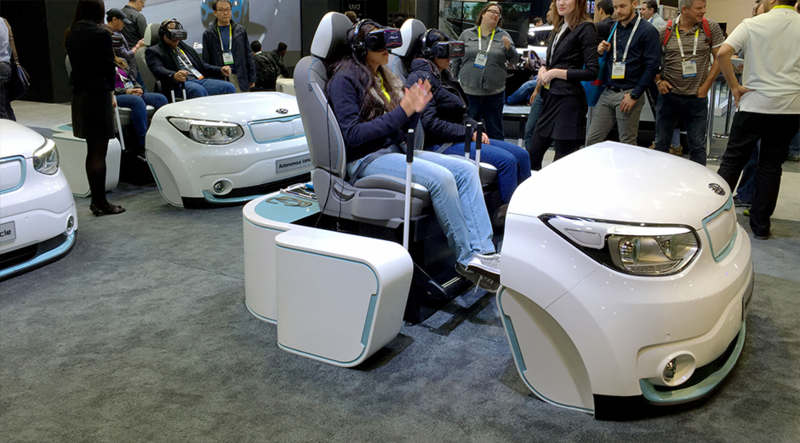 While it was hard to keep from drooling as we walked down aisle after aisle after aisle of game-changing technology, our mission was to find the most relevant technology to help raise the bar in experiential marketing. It’s safe to say we came home with some groundbreaking ideas, and one of the most prevalent technologies really clicked as a tool we can use for the brand experiences we create: Virtual Reality. Virtual Reality (VR) is by no means new, however the evolution of how brands execute and integrate VR is. Numerous brands and vendors took advantage of new products like the HTC Vive and Samsung Gear VR to tell their story or sell their service in ways that overcame some of the previous barriers to using VR, such as limited throughput, uninspiring content, and not being able to connect the VR experience to the brand. One such brand was Sleep Number. 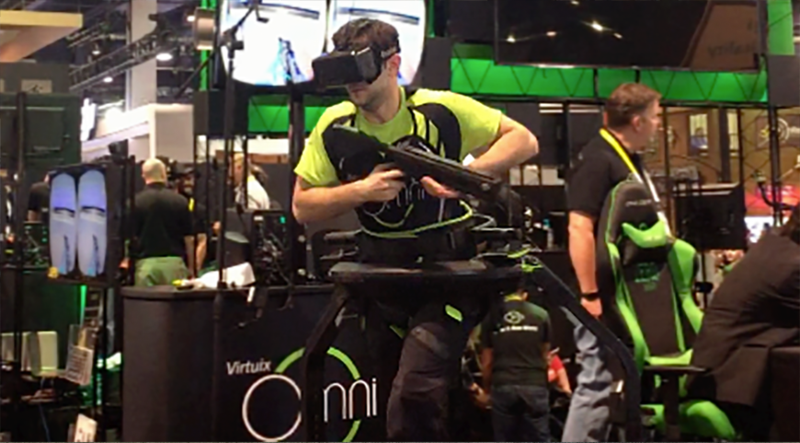 No, their product hasn’t changed drastically in the last decade, but their use of VR within their booth was unique, interesting and surprisingly relevant to their brand message. Using an HTC Vive headset, we were instantly transported into an empty warehouse. Then, we rose to a narrow walkway that seemed to be 75 feet above the warehouse floor. Our vision began to blur as if we hadn’t slept for 24 hours (which wasn’t far from the truth for the three of us). Then, we were instructed to walk across a narrow plank. Once across, the brand ambassador asked us to step off our landing platform to free fall to the floor. It was amazing and hilarious watching the hesitation people had before making the jump in this non-existent virtual world. So how is this related to Sleep Number? The exercise showed how difficult it is to function without rest, seamlessly leveraging new technology and promoting one of its main product benefits: a good night’s sleep. Samsung Gear and Mastercard each presented excellent solutions for expanding the number of people who could participate in this primarily individual experience, therefore increasing throughput. 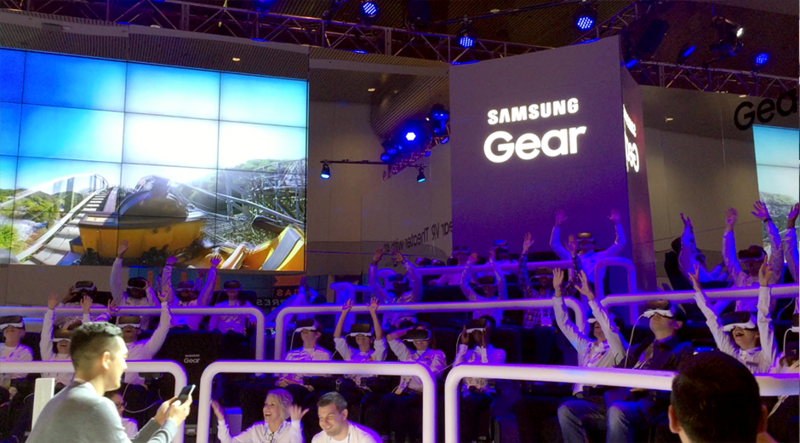 Samsung Gear’s booth in the concourse of the Las Vegas Convention Center seated about 50 individuals at a time to put them on a virtual roller coaster ride. On a smaller scale, Mastercard transformed coin-operated binoculars (like the ones at Griffith Park and any major look out across the globe) and built in virtual reality headsets into them. This not only helped increase throughput but also raised the curiosity of passers-by. One could argue that the content was not necessarily relevant to their booth, but it was a very clever form of execution. Lastly, the Giroptic 360 camera gives us hope that the quality of VR content will only continue to get better. This little camera (roughly the size of a GoPro), captures beautiful, 360-degree footage, which is automatically stitched together to instantly provide amazing visual content. The footage can be implemented as an interactive experience on a desktop screen or as a complete VR experience, transporting audiences into a variety of settings—think live concerts, professional sports games, remote destinations, the opportunities are endless! We’re already living in a content-driven world. That content is increasingly becoming interactive right before our eyes. Whether you believe what your eyes are seeing or not, our eyes see virtual reality and experiential marketing converging as the most immersive and “next big thing” in connecting consumers and brands.